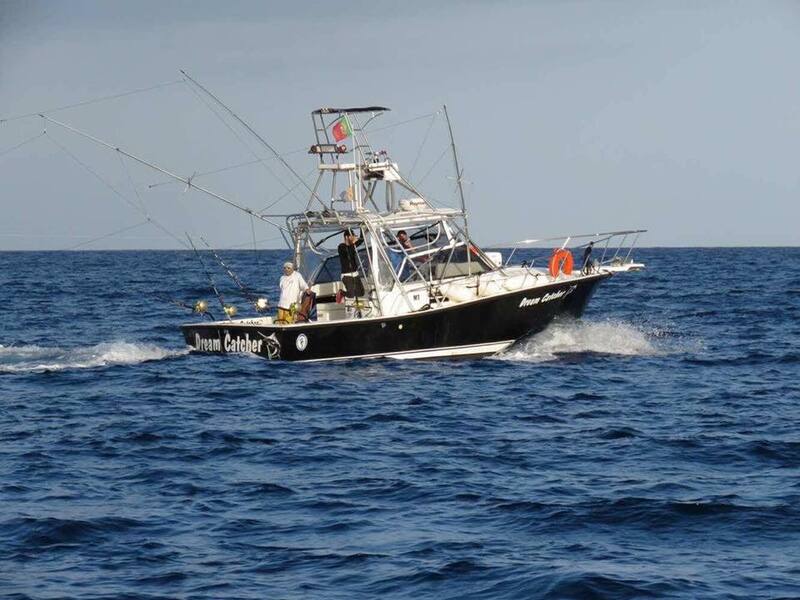 The offshore fishing grounds of Madeira are renowned for being the perfect location for big game fishing, with an incredible variety of saltwater species that are considered to be some of the most sought-after game fish for the passionate angler. In Madeira, though, Fishing for Wahoo primarily takes place across the inshore fishing areas near the island’s rugged coastline, where great Wahoo are attracted by schools of mackerel, sardines or other fish they will feed on. Wahoos can most often be spotted in their favourable feeding locations from late August until January, the best time for catching this outstanding species. Their normal size ranges between 10 to 50 pounds, although larger Wahoos are not uncommon in this blessed maritime region. With Wahoo fishing Madeira keen anglers have the opportunity to charter the extraordinarily well maintained “Dream Catcher” in order to be taken to the most prominent Wahoo fishing grounds, where they stand fairly good chances of catching a fine specimen. The fact that Wahoos don’t normally appear in large schools, but rather in smaller groups or alone poses an even greater challenge on the fishing operation. 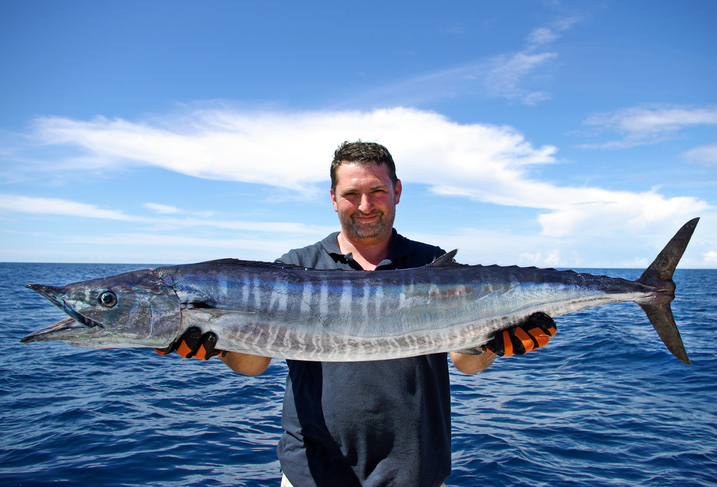 Moreover, the Wahoo’s striking elongated and blue coloured appearance in combination with its amazing ability to move through the water at speeds of up to 90 km/h promise a fascinating fishing experience. Not only can anglers on board the ‘Dream Catcher” expect to be provided with all the necessary equipment in order to achieve their fishing targets, but they will also be able to further accomplish their skills, develeop and utilize their abilities to the full with the help and support of the experienced and well qualified Captain and his first mate, who are there to recommend the most effective fishing techniques for Wahoos as well as offer sound advice and encouragement. Having observed their behavioural pattern for a long time, the boat charter Wahoo fishing “Dream Catcher” and its crew will make anglers aware of the fact that Wahoo shun direct light sources and are much more in favour of dim sea quarters. There are several modes of fishing for Wahoo, but trolling remains the most productive one. Artificial fishing lures for Wahoo can better resist the pressure and abrupt acceleration of the trolling speed. On the other hand, Wahoo also respond positively to live baits like mockerel or small sized tuna. However, special precautions should be taken with this fish, as Wahoos are known to be fierce fighters. If not handled appropriately, their very sharp teeth can cause harm to anglers. Furthermore, their extremely movable jaws have the potential to loosen any hook, thus quickly extricating themselves and managing to escape. Therefore, anglers should bear in mind that it is vital to always keep the fishing line extremely tight, so as to make sure the Wahoo remains hocked. This can seem quite an adventurous experience, as the Wahoo’s attempt to make a highspeed getaway demands great fishing skills and high quality reels to withstand the sudden strain imposed on them by that powerful and independent fish.